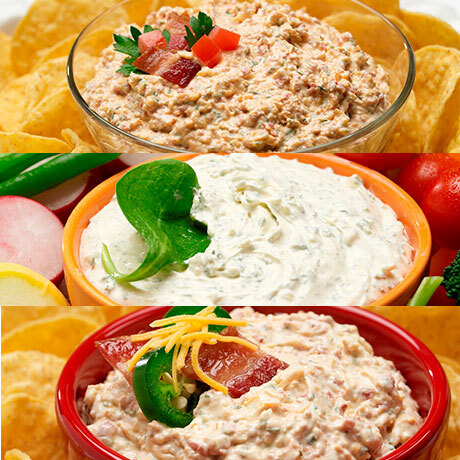 Homemade Gourmet’s best-selling dips packaged in our signature box. A great gift! Includes one packet of each: BLT Dip Mix, It’s the Real Dill Dip Mix, and Jalapeño Bacon Cheddar Dip Mix. Each packet serves 8-16.